A cornerstone of the Woolloongabba area, the heritage-listed RedBrick Hotel reopened its doors in late September. Newly renovated, the 127-year-old venue is once again bringing its old world charm to Annerley Road. 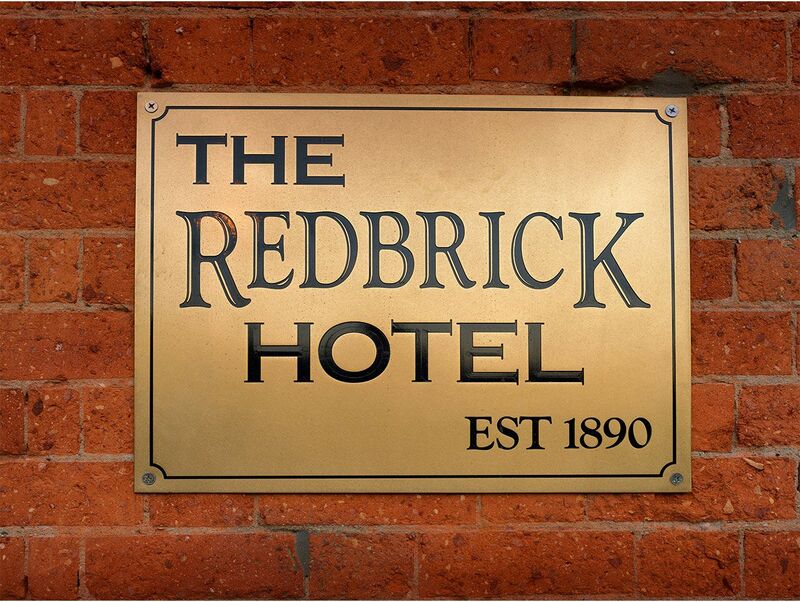 The recently refurbished RedBrick Hotel made its grand reopening during September after nine months of renovations to the building. Alongside classic Federation-era style architecture, the RedBrick boasts a reinvigorated restaurant and bar, plus a state of the art gaming lounge. Patrons can also peruse the new drinks menu, containing a wide selection of handpicked craft beers and cocktails sure to impress. The menu has had a complete refresh, with new specials such as the 1 kg chicken parmigiana, and quality Wagyu rump steak. Be sure to try the Extra Hot Chicken Wings, served with Buffalo sauce that contains an extra kick of Carolina Reaper Pepper, the hottest pepper in the world. The new dining area sheds some light on the history of the building, with exposed red brick, curacao tiling and visible copper piping. The renovations sought to embrace this past with all stylistic choices made to complement the original character of the RedBrick, as well as add a touch of modernity – such as the golden laser cut window screens. The aim of the refurbishment was to “bring new life to one of Brisbane’s oldest venues” according to owner Albert Hakfoort. Located at 83 Annerley Road in Woolloongabba, the RedBrick Hotel is a historic feature of the area having stood for over a century. Established in 1890, the hotel was originally named Burke’s, after prominent Australian builder Thomas Burke. From the 1930’s until the 70’s the hotel was known fondly as the Red Brick. Surprisingly, this was not for its brick exterior but for the red 10-pound notes used by the bookies, nicknamed bricks. The RedBrick will be open Monday-Sunday from 10am until late. The restaurant will be open for lunch between 11:30am and 2:30pm, with dinner on offer between 6pm and 9pm. For those who would like to try one of the craft beers on offer we have speciality beer flights – your choice of any 4 5oz beers so you can try the range at your own pace.